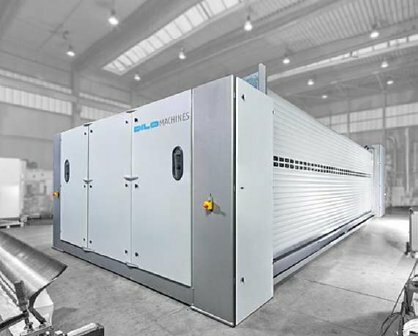 DiloTemafa offers new possibilities for the gentle opening of longer fibres at high throughput speeds using several opening stages. The VectorQuadroCard by DiloSpinnbau, first presented at the ITMA 2015 show in Milan, Italy, combines different types of card within one card by a simple and fast changeover of the intermediate section. The newly designed delivery system is also flexible to allow the production of parallel, random or condensed webs. The new card feeding system Unifeed that combines the principles of a volumetric system allowing fine dosing with the advantages of an open vibration chute feed is also adapted to this new card. The newly presented horizontal crosslayer DLSC 200 from DiloMachines sets new standards in crosslapping technology with an electro-mechanical web infeed speed of 200 m/min depending on the fibres used. The new needle module technique of DiloMachines embeds 22 needles in a plastic support and is used in needle boards with very high needle density. These modules result in a fast and precise filling of needle boards. They are used in Variopunch needling technology where bad spots in stitch distribution are eliminated by variable needle arrangements thus creating a more homogeneous and higher surface quality. This needle module technology was first used in the compact line presented on the ITMA 2015 in Milan, Italy. This compact line is designed for the production of high quality needlefelts from special fibres such as carbon. It completes our portfolio that includes not only small production lines for laboratories and large needling lines for papermachine felts but all machines for the production of needlefelts from staple fibres. 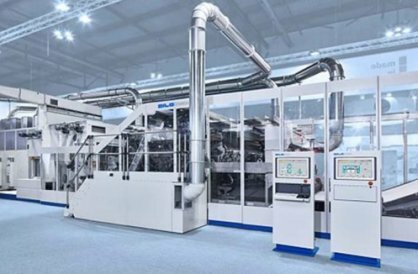 DiloGroup has delivered more than 300 production lines to the nonwovens industry worldwide and thus has the required know-how and a complete range of machines to supply the optimum production line for your requirements. These highly modern and innovative production lines are the result of continuous engineering development work and steady product development in our own textile research centres. Dilo is looking forward to welcoming you in Geneva at INDEX on our booth No. 2010 from April 4 to 7, 2017.